Indianapolis Archives - LanceScurv - Bold, Raw & Uncut! 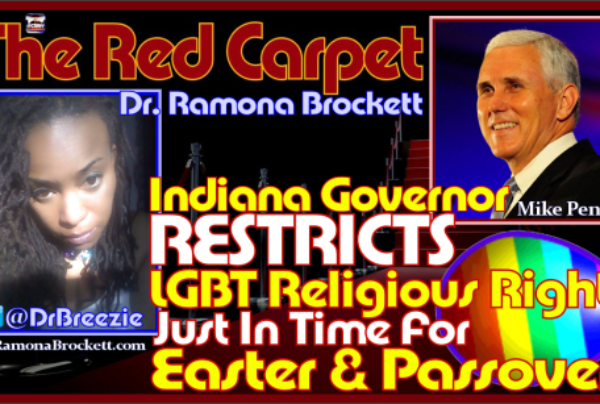 Indiana Governor Restricts LGBT Religious Rights Just In Time For Easter & Passover! Nipsey Blue is just one of many suggestions in the contest that ended in 2017. The post Nipsey Hussle fans, LeBron James want to rename crayon in rapper’s honor appeared first on theGrio. John Singleton’s mother on Thursday asked a judge to appoint her as a temporary conservator after he slipped into a coma following a major stroke. The post John Singleton slips into coma after suffering ‘major stroke’ appeared first on theGrio. Music legends Salt-N-Pepa and SWV have teamed up for a new reality show on BET that chronicles their journey on tour together. The post WATCH: Salt-N-Pepa and SWV dish on their new BET reality show, ‘Ladies’ Night’ appeared first on theGrio. Sen. Elizabeth Warren (D-MA) while speaking at the She The People conference rolled out a policy plan that would address the racial disparity between Black and white mothers. The post Sen. Elizabeth Warren says if hospitals keep letting Black mothers die, they should lose funding appeared first on theGrio. Joe Biden has hired Symone Sanders, as a senior adviser for his 2020 presidential bid. The post Biden reportedly hires political strategist Symone Sanders to campaign team appeared first on theGrio.